Fashion loves to be #extra. Just look at the recent circuit of Cruise shows if you want receipts. Karl Lagerfeld literally built a giant cruise ship in the Grand Palais for the Chanel show, and Maria Grazia Chiuri flew in a gang of Mexican female horseriders at Dior. 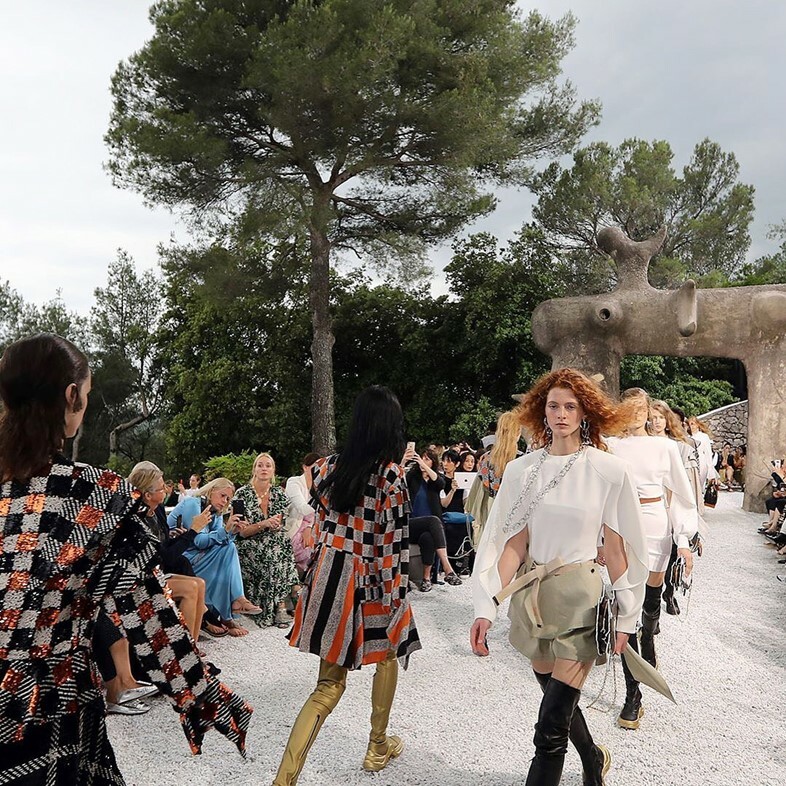 While Louis Vuitton’s offering wasn’t as overtly showy, the label went the extra mile, hiring a shaman to hold off the rain at the outdoor venue. With the expensive cost of hiring a service for every Cruise show the shaman was let go, only to be quickly rehired following Dior’s outdoor show – which was also outside in the pouring rain (it added to the drama, TBH). Reportedly kissing trees, the shaman was successful in his mission to stave off the rain. Round one to Louis Vuitton. Try harder next time, Mother Nature.